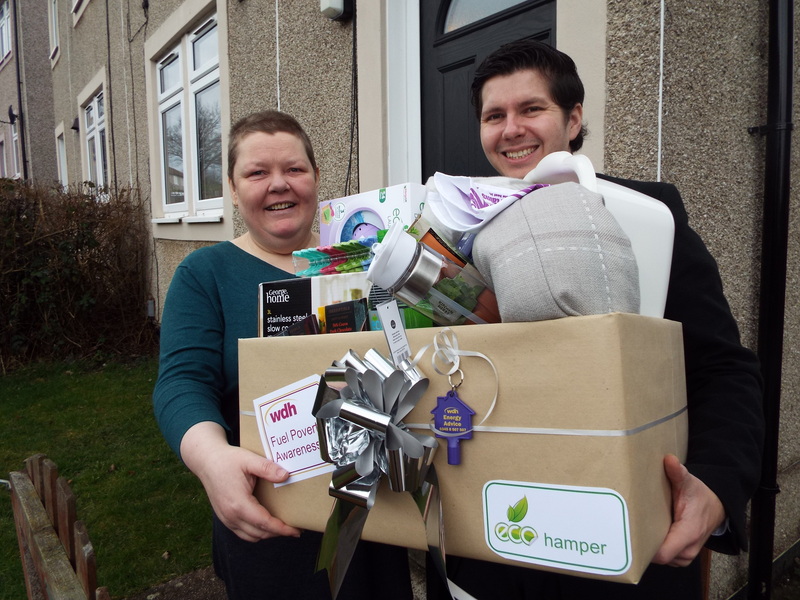 The prize bundle included useful energy saving products, including a slow cooker, a blanket, a draught excluder, grow your own herbs, pegs, a tea towel, a water bottle, washing up liquid, a laundry egg, a WDH metre box key and fair trade chocolate. Jeanette Hunter, from Lupset won the prize after sending in her top tip on how she saves energy. Ingrid Lynch, from Castleford, won the second hamper as part of a prize draw when the team visited Service Access Points across the district to offer advice to tenants on Fuel Poverty Awareness Day.